Fundamentals of Homogeneous, Heterogeneous Catalysis and Catalysis with Enzymes. Development of New and Improvement of Existing Catalysts and Catalytic Processes. Mathematical Modelling and Chemical Engineering of Catalytic Processes. Catalysis is a backbone of the technical progress in chemistry, oil refinery and oil chemistry. About 90% of modern chemical technologies appear to be based on catalytic processes. Current commercial production of sulfuric and nitric acids, fertilizers, motor fuels, monomeric and polymeric materials can not exist without catalysts. Catalytic methods are rapidly penetrating into the fond industry, energetics,metallurgy and transportation. Currently, catalysts are used more frequently to solve important environmental problems. At the same time catalysis itself is a complex and multiform phenomenon. Among the problems of paramount importance is the prediction of catalytic action. To solve this problem it is necessary to know the nature of interaction between reactants and catalysts, the composition and structure of intermediates, the combination of consecutive steps of processes and the main properties of substances that determine the catalytic activity. The other promblems of primary concern are: development of methods for catalyst preparation and investigation of their structure and also elaboration of procedures for commercial process performance, optimization and simulation of catalytic reactors and reactions on the basis of detailed analysis of catalytic reaction kinetics. At present, the study of the nature of catalytic action and catalyst structure, development of both fundamental and practical approaches to catalyst preparation and performance are, in effect, not possible without various chemical, physical and combined methods. The quantum-chemical research is mainly directed torwards calculatioon of electronic structures of the models of activated complexes, intermediates and catalysts. Methods for determining the chemical and phase composition of catalysts and those of catalytic reaction products are in progress now for all the elements of Periodic System and for their various combinations and ratios. Atomic absorption spectroscopy, various analylical physico-chemical and chemical methods serve for catalyst analysis. Chromatography is employed mainly to examine the composition of catalyst reaction products. Adsorption methods, porosimetry, calorimetry are extensively used to study geometry and chemistry of catalyst surface, specific area, pore structure, adsorption heats, etc. Design of industrial catalytic processes is based on the detailed study of reaction kinetics. The Institute possesses various highly potential and precise physical research methods. The structure and properties of catalysts and reaction products are studied by means of X-ray electron diffraction, high resolution transmission electron microscopy, vibrational and UV-VIS spectroscopies. IR spectra can be registered within the range of 10-1500 cm -1 at the temperatures ranging from 196 to 700 0C, UV and VIS spectra - within 200-2500 nm, diffuse scattering spectra - 220-1000 nm. Laser Raman spectra are recorded upon excitation at wavelengths within 440-630 nm, the exciting radiation being tuned continuously. For fast processes pulse radiolysis and pulse photolysis as well as ion cyclotron resonance are employed. Electron spin resonance (ESR) and nuclear magnetic resonance (NMR) are the powerful tools for investigating the phase composition, electronic structure of catalysts and processes, proceeding between reaction components and active sites of catalysts. Radioisotopes and ionizing radiation are used to study kinetics and mechanisms of heterogeneous reactions. Photoelectron and Auger spectroscopy provides information about the surface chemical composition of heterogeneous catalysts and electronic structure of adsorbed atoms and molecules. Usually these methods are complemented with thermodesorption and low energy electron diffraction (LEED) technique. Synchrotron radiation opens new possibilities to study catalytic properties (charge of active component, radii of coordination spheres, coordination numbers of atoms, surface composition) . The complementary methods of small angular scattering (evaluation of size and size distributions of microparticles and micropores with computer data processing), X-ray, photoelectron spectroscopies and EXAFS (extended X-ray analysis of structure) are commonly used. Various modifications of EXAFS method are in progress: fluorescence EXAFS for studying the bulk and supported catalysts containing small concentrations of active component and Auger-EXAFS for determining the composition and structure of catalyst surface and adsorption events. The Boreskov Institute of Catalysis of the Siberian Branch of Russian Academy of Sciences is a largest in the world specialized institute working in this field. The Institute carries out fundamental and applied studies practically in all field of catalysis: structural and mechanistic characterization at the molecular level of varios catalysts and catalytic reactions, chemistry of catalyst preparation, kinetic stadies of catalytic processes, mathematical modeling and engineering of catalytic reactors and processes, development and commercialization of new industrial catalysts and processes. Sophisticated instumentation for in situ analytical control of catalyst state and reaction mixture composition, including instumentation for adsorption, kinetic, structural and spectral studies are available at the Institute. All this allows to obtain within short time intervals unique combination of data about the structure of active centers, detailed reaction kinetics and mechanism, and to use these data for purposeful design of new catalysts and catalytic technologies. The list of personnel of the Institute inscribes 1000 people, among them 434 reseachers including 1 full member and 2 corresponding members of the Russian Academy of Sciences, about 40 doctors of sciences and 200 candidates of sciences. The Omsk Branch of the Institute guided by Prof. V.K.Duplyakin unites about 50 researchers. Here, the pilot plant of the Institute for manufacturing adsorbents and catalysts is situated as well. The scientists of the Institute work in 34 research laboratories and 17 research group in Omsk. Service, Managing and Engineering Departments of the Institute support and promote its research activity. 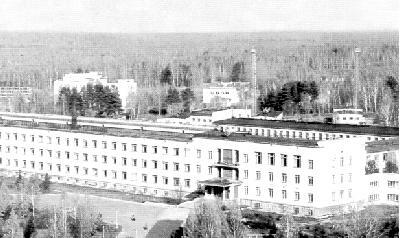 Institute of Catalysis of Siberian Branch of Academy of Sciences was founded in 1958 and now it is one of major research institutions in catalytic chemistry over the world. Initiator of the Institute and its permanent director up to 1984 was academician Georgii K.Boreskov (1907-1984), an outstanding specialist in chemistry and catalysis with international recognition, a significant manager of research. In 1992 his name was assigned to the Institute. G.Boreskov contributed remarkably to generation of scientific traditions and style, research trends and activities. Over several last decades fundamental and applied catalysis became a separate trend in chemistry and chemical engineering encompassing varios fields of physics, mathematics, biology and engineering. Boreskov Institute of Catalysis has played a key role in this breakthrough. Scientific Council of the Institute is its brain center. Besides the heads of Laboratories and Departments, leading reseachers are themembers of the Council as well.